A full list of all the currencies and countries currently supported by Stripe. 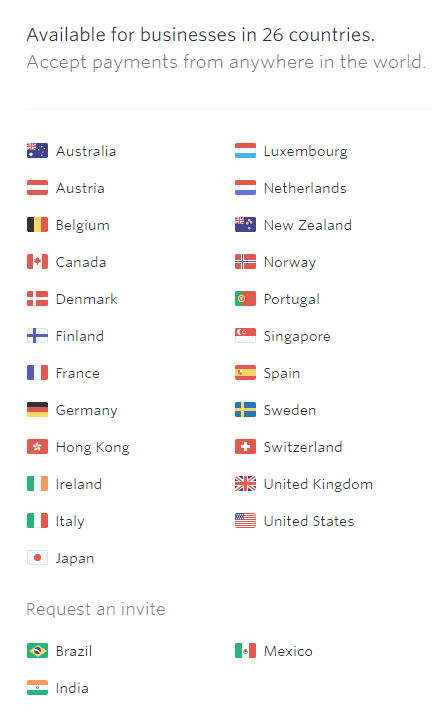 At the moment, Stripe supports 26 countries, as you can see in the list below. Once Stripe is supported in your country, you are able to receive payments from readers located anywhere in the world. Here you can read more about Stripe supported countries. Stripe accepts 135+ currencies, allowing you to sell your publication in the native currency of the buyer. Click here to view the list of the supported currencies. You can find out more about currency conversions in this article.